Dale Chihuly, I’m So Disappointed in You. I Thought You Were Smarter Than This. Artists part company with Republicans because the GOP generally thinks government shouldn’t get involved with funding art. Democrats are spending time backing efforts to shut up public debate (censorship doctrine), impose speech codes (on college campuses), and, of course, are wholesale behind shutting up political speech with campaign finance reform (along with their friend John McCain). In other words they’re working on ENDING free speech and the free exchange of artful ideas. 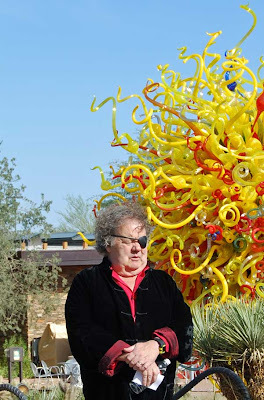 So why would an artist like Dale Chihuly give $50,000 to BHO’s inaugural? Why do artists believe the Democrats embody the beliefs that nurture art? Why is the idea of government funding the crucial difference? It seems to me that iconoclastic artists wouldn’t want the government NEAR their work–unless they’re selling a public installation they’ve already created. 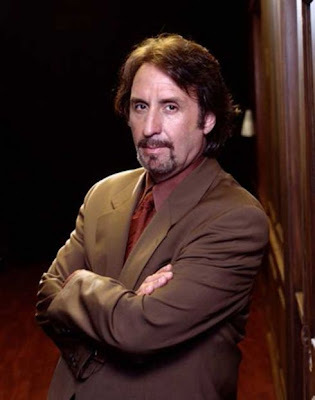 Ron Silver. RIP. He Knew What Time it Was. I wish his voice were still being heard in Hollywood. In 2004 he addressed the Republican National Convention in support of President Bush. He put country above petty partisanship. Good for him. I wish there were more like him. He died today of cancer. Under the unwavering leadership of President Bush, the cause of freedom and democracy is being advanced by the courageous men and women serving in our Armed Services. The President is doing exactly the right thing. That is why we need this President at this time! I am grateful for the chance to speak tonight to express my support for our Commander-in-Chief, for our brave troops, and for the vital cause which they have undertaken.